noted: Wishing it was summer! hm, yum! Well done katy! Love you chevron design! Loving the chevrons... may just nick that for a card idea!!! 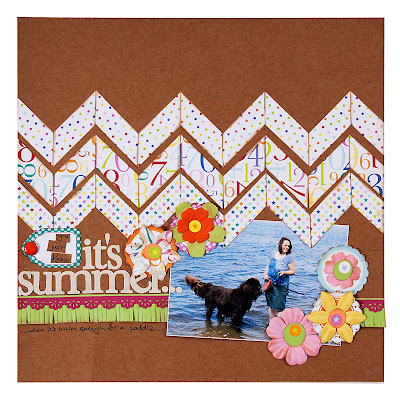 Love the whole thing - you know, you might convert me to scrapping yet.. lol.